When Intercast Networks planned to launch a beta test of their online video application Kazam, they needed a website that would present the software as a polished product offering popular content from mainstream media partners. And considering the target audience for the testing phase would be college students at selected universities around the country, the site needed to be…well, cool. 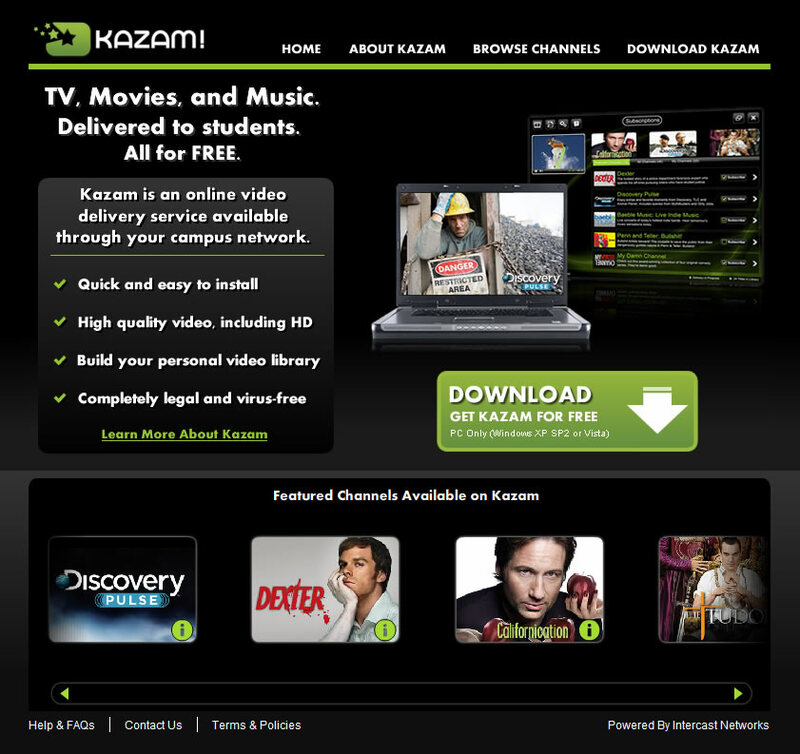 The resulting website positioned Kazam as offering premium video content through an easy-to-install application. Media partners were featured prominently and the site successfully drove users to download the beta software, beating initial performance expectations.